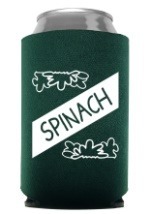 Be strong to the "finich" when you eat your spinach as Popeye the Sailor Man this Halloween! We carry a number of licensed Popeye the Sailor Man costumes for adults and children and also have characters such as Olive Oyl and Swee' Pea so you can create a Popeye group for Halloween! From infants to plus sizes, everyone can be "one tough Gazookus" in our Popeye costumes!